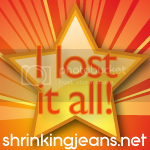 If you've followed me for any length of time, you know I love The Sisterhood of the Shrinking Jeans and all their fun, crazy challenges. We are into week 4? of the May Your Way challenge, where we got to set our own goals and whatnot. I'm totally suffering from an extreme case of Fitbloggin Withdrawal. Seriously, I'm ready to submit my symptoms to the DSM-IV people and see if we can get it as an official diagnosis when the DSM-V comes out in 2013. I think this is why I haven't been able to write a recap yet. Recapping the weekend would mean it is really over. So sad. In any case, I need to report how I am doing on my goals. Make that goal - singular. My goal for the challenge was to get through my 3 races uninjured. Well, I'm 2 for 3 with my final race coming up on Saturday. I felt really good after the 5k and I have no doubt I'll finish my 3rd race. I was hoping for a 10 mile PR, but now I just want to have fun and finish it. Enjoy running in Chicago along the lakeshore. KWIM? You can read about my 25k here and see how cute I looked in my tutu (if I do say so myself) for the Fitbloggin 5k here (I'm the one in green). Next week I'll be reporting on how the Soldier Field 10 Mile goes. I haven't run much this week - only 2 miles actually, because I'm really tired and my heart hasn't been in it. I was talking with one of my IRL girlfriends and she says this is what overtraining feels like. I think I'm going to take a bit of a break after this weekend and let my body and mind heal. As for the mantras and all that other stuff - like I said, I'm feeling a bit of burnout and withdrawal. I WILL get my mojo back. No question about that. Maybe this week I'll even get a Fitbloggin post written. Maybe. How about you? 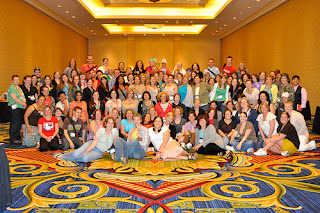 Did you attend Fitbloggin and if you did, did I get to meet you? Please remind me because I met so many amazing women and men last weekend. PS-I just added Intense Debate for comments, so let me know what you think. M'Kay? I love that I can now comment back to you all. This past weekend I was one of the lucky gals (and a few guys) to attend Fitbloggin '11 in Baltimore, MD. Right now, I have so many thoughts/reflections swirling around in my head and I don't even know where to begin to get them all down. I promise I will right a post devoted to Fitbloggin, but I need to get my thoughts together first. I do know that I'm not confessing to feeling guilty about anything I ate or drank this weekend. Overall, I'd say I was pretty darn good. For that, I am proud. I do know that I met so many wonderful, incredible people this weekend, and that is due in large part to The Sisterhood of the Shrinking Jeans. I won a ticket many months ago, and at the time it seemed that May would never get here. Now the time has past and I can't wait until next year. One tidbit I did come away with was the need to change up my blogger comments. I've just installed Intense Debate with Comment Luv. 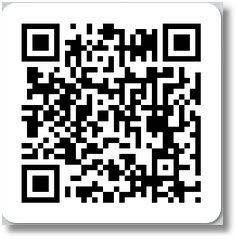 Please let me know what you think - especially if you run into any glitches. Well, I have to say the month of May is turning out to be a pretty phenomenal month! As I write this post, I have a bazillion thoughts running through my head about the conference I just returned from. Fitbloggin '11 was amazing and will definitely require several of its own posts. Until then, I leave you with my week in pictures. I love the color on this tree in my backyard. Anyone know what kind of tree it is? Playing Words With Friends. Where's a dang "e" when you need one? Final preparations for Fitbloggin included making my first tutu! I spent my first day in Baltimore wandering the Inner Harbor and then visiting the National Aquarium with one of my most favoritest people in the whole world, April. The first official day of Fitbloggin '11 and it was full of fitness activities. 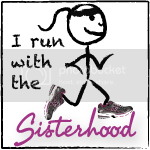 I finally got to meet and run and Zumba and ... with so many of my girls! Today was a day of travel and tears (I miss my hookers already!). I feel incredibly blessed to have won the Fitbloggin ticket from Shrinking Jeans that allowed me to meet IRL all these amazing women and men. I was truly surrounded by friends. Many of you may be finding my little corner of the blogosphere for the first time thanks to Fitbloggin. If you are new here, Welcome! If you are an old friend, Welcome back :) I hope to implement some of the coolness that I learned this weekend, so you may see some changes here in the not too distant future. So, thanks for stopping by. Feel free to poke around, open my medicine cabinet, check in the cupboards. I hope you like what you see. Until next time, I leave you with a question: What is your favorite photo subject? On Saturday, May 14, 2011, I did something I said I'd *never* do. I ran 15.5 miles. I set 2 PRs that day - distance and time. A pretty good way to start off a Saturday morning. But this journey really started over a year ago while training for the 2010 River Bank Run. I'd decided to start running again and set my sights on the 10k. After that race, I literally just kept on running. Another 10k in July and then the Grand Rapids Half-Marathon in October. A few weeks ago I ran my first 10 mile race. All in preparation to run the 2011 Fifth Third River Bank Run 25k, the largest 25k road race (participant-wise) of it's kind in the country. Saturday morning, I set out with nearly 21,000 of my *closest* friends. Of these 21,000 people, around 5600 would run the 25k race. (There are also 5k walk, 5k run, 10k, and 25k handcycle & wheelchair races.) With that many participants, plus around 30,000+ spectators and volunteers, you can imagine how insane the energy was. I started off the week making sure to eat lots of good carbs and get my hydration taken care of. This included the obligatory giant plate of pasta the night before the race. (This might explain the slight bump on the scale.) I also had a great time wandering around the expo. I got all my gear situated and crawled into bed by 10:00. Here I am, in the rain, waiting for the start! Before we knew it, mile 3 passed (10:56:17) and so did mile 4 (11:04:48). We are cruising right along under the tree canopy on Indian Mounds Drive, with the Grand River on our right. Along this path, we were passed by several myTeamTriumph groups. Everyone would cheer and yell out the "Team Captain's" name. Watching these groups push their Captains along the route was truly inspirational. I was wondering if I should put in my music at this point. I didn't really feel I needed it, but I'd never run this far before without music. All of a sudden, I notice a spectator on my left wearing his new Kalamazoo Marathon shirt. It was Pete! (@pmumbower on twitter) I got a great, double high-five a high ten? from Pete and a TON of high-fives from the Grandville Varsity cheerleaders and football players (including one from the preschool teacher at my school - she's the cheer coach!). Go Bulldogs! Those cheers and high-fives kept me going. Mile 5 passed by (11:04:15) and we hit mile 6 just before Wilson Avenue (10:58:04). On Wilson, we crossed the Grand River and I saw another one of my friends spectating. A quick right on Butterworth and we started a gradual uphill that would last for about 3 miles. We passed mile 7 (11:23:83) and 8 (11:11:97) and we were over 1/2 way there! Cue mile 9 (11:05:78) OMG am I really maintaining this pace and have I really not walked??? Kim and I are still chatting on and off and I haven't plugged in. I've given serious thought to walking, but so far, have only walked thru aid stations for water (I was carrying Nuun and eating a couple Sport Beans every mile or so). At this point, we hit the big hill that is Maynard Avenue. Our pace slows a bit, but we hit mile 10 (11:28:59) without much of a slow-down. Now it's time for a nice downhill and the rollers (little bunny hills for a couple miles) of Butterworth Drive. Mile 11 (11:09:52) and mile 12 (11:13:57) go by. We are now heading into town toward the zoo. The spectators are great - even the senior citizen who said he'd like to chase a couple of cute girls (yep-sped up a bit there). Mile 13 (10:59:16). I look at my watch a minute or two after mile 13 and I realize I've just probably set a 1/2 marathon PR by about 2 minutes! We run past the entrance to the zoo and I see a family with a sign that says "Go, Mom, Go". I've seen them 3 times now! They've been booking from place to place to cheer on Mom, but this Mom appreciates it too. There are also lots of kids giving out high-fives and a live band playing :) We pass mile 14 (11:19:21) and I think to myself, "uncharted territory" and start to get choked up a bit. Right at this point, Kim says, "2 and a half more miles. We've GOT this." My legs are fried, but at this point, there is NO WAY I'm slowing down to walk. I got a bit lightheaded somewhere around mile 14 and take some more Sport Beans. All better. We are headed down Lake Michigan Drive to Fulton Street and around the Grand Valley State University downtown campus. Mile 15 (11:03:83) - holy crap we've sped back up. I see a couple people down on the bridge back over the Grand River. I'm so sad for them that they are a 1/2 mile from the finish line and aren't going to finish their race. As we cross the bridge, another band starts playing "Don't Stop Believing". I about lost it. No, Bari, you will not start to cry. We round the corner and start heading UPHILL to the finish line. *Note to race organizers - this is just plain cruel. Lucky for those mean (not really - they're awesome) organizers, there are thousands of people cheering and yelling us on to the finish line. I hear Mike and my friends Joe and Angie (who finished in 1:59!!!!) screaming my name. Mike even manages to take a decent picture as I "pose" while running :) The finish line is in sight (last 1/2 mile in 5:44:28). I hear the race announcer call my name. I have just finished a 25K! Let the waterworks begin. After I crossed the finish line and a really hot volunteer put the medal around my neck, I grabbed a carton of chocolate milk and a piece of watermelon. I turn around and see 2 of my friends from church who had finished a little bit before me. In a sea of literally thousands of people, I run into ones I know. Mike, Joe and Angie find me and we walk around for a bit until I start feeling like I'm not going to keel over. At one point, Angie points out that my lips are completely purple and grabs my hand. My nails are also completely purple. She advises me to get my inhaler, so I take a few puffs. I also never *felt* cold, but I stripped out of my wet shirt and put on a dry shirt and Mike's coat. By the time we got to the car about 20 minutes later, I was feeling good, but still a little purple. Hypothermia? Low oxygen? Who knows. In any case, it was a wonderful experience and I will definitely run this race again. Maybe next year we will break the RBR weather curse and have 50 and cloudy. Wouldn't that be great?! I'm a 25K finisher and I have a shirt and medal to prove it! Thank you to everyone for your words of encouragement throughout my training, all the tweets on race day, and for the great comments on facebook. Getting in the car after the race and reading all of your posts meant the world to me. On Thursday, I fly off to Baltimore for Fitbloggin, where I get to hug IN REAL LIFE many of the women who convinced me to start running again and eventually take on this challenge. I am so blessed to have such an amazing support system. I could not have done this without you. Is there a marathon in my future? I honestly don't know, but I do know this...never say never. I hope you all had a great week and that your adventures have not left you feeling like you've been hit by a city bus :) It's hard to believe...only 4 more days until I fly to Baltimore for Fitbloggin!!! !